Russian naval officer and polar explorer. Anjou was born in the town of Vyshny Volochok of the Tver province in the family of a county doctor. His grandfather moved from France, fleeing from religious persecution by Catholics. Anjou's father wanted his son to follow the medical line, but the boy could not stand the sight of blood. A decade, Anjou was sent to St. Petersburg and placed in a private math board at the Naval Cadet Corps. In 1808 he entered the Naval Cadet Corps, which determined his whole future life. Dreams of research in the Arctic, whose map at that time was full of white spots, appeared in Anjou and his friend FP Wrangel already in the years of study, they were actively preparing for their implementation, tempering the will and the body. 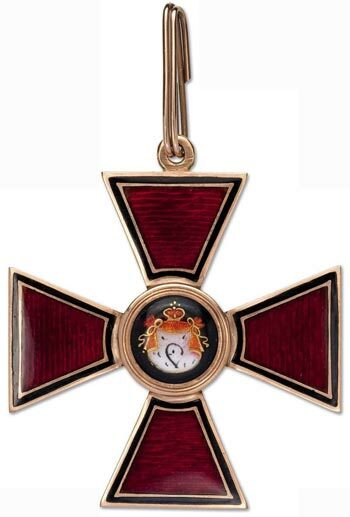 Anjou graduated from the Naval Cadet Corps second in terms of success in the sciences after Wrangel. In 1817, a midshipman sailed from Kronstadt to Cadiz (Spain), but thoughts about the Arctic did not leave him even at that time. The dream came true in 1820 when, at the rank of lieutenant, he headed the Ust-Yansky expedition, which was investigating the Siberian coast between the mouths of the Olenek and Indigirka rivers, the Novosibirsk Islands, and also searching for unknown land seen, according to Y. Sannikov and other industrialists to the north from them. Prior to Anjou, several expeditions worked in these areas in different years. The Siberian coast was described in the first half of the 18th century. VSE units under the leadership of lieutenants V.V. 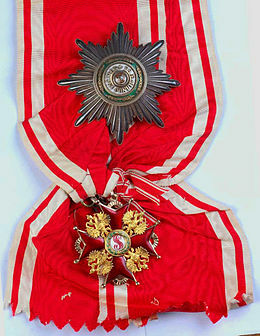 Pronchishchev, P. Lassinius, brothers D.Ya. and H.P. Laptev. Their inventory was rather approximate, as it was based mainly on the numbers produced from ships. 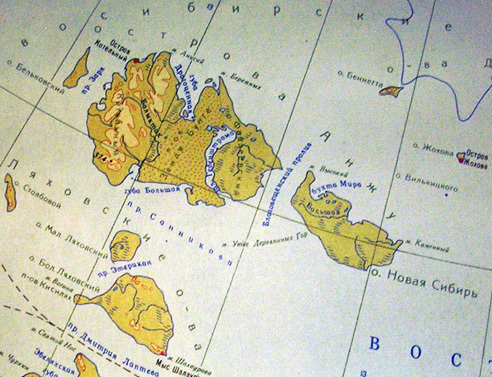 The Novosibirsk Islands were mainly described in the process of sled routes at the very beginning of the 19th century. expedition MM Hedenstrom Due to the lack of necessary equipment, tools, and often experience and knowledge, these inventories were also not sufficiently accurate. The base of the expedition Anjou chose Ust-Jansk , where the detachment arrived in October 1820. Work began in March 1821. Dog sleds by the end of March got to island Stolbovoy , made his inventory and moved to island Kotelniy. Arriving there, they were divided into two groups, one of which was headed by the navigator assistant I.A. Berejnih went along the southern and eastern shores, and the second headed by Anjou himself along the western and northern ones. From the northernmost point, island Kotelniy Anjou embarked on a trip across the ice to the north in search of land. It reached 76° 36′ N, beyond which he could not move because of the thin ice. In clear weather, no land was found. On about. Faddeevsky both groups met and, after a short rest, rode across the ice to the north again, but after traveling about 10 miles, they were forced to return without seeing the ground. After that, we got to island New Siberia and tried to move on the ice to the northeast. Having gone 14 miles, the land also did not see. By the end of April, due to food shortages and extreme fatigue, people and dogs decided to return to the base in Ust-Yansk. In the summer on horseback they described the coast between Yana and Indigirka. Devoting the winter of 1821-1822 processing materials and preparing for a new campaign, in the spring of Anjou again divided the squad. One group was supposed to conduct an inventory of the coast west of the mouth of the Yana to the mouth of the Olenek, and the second headed by him again went to the islands to complete their inventory. 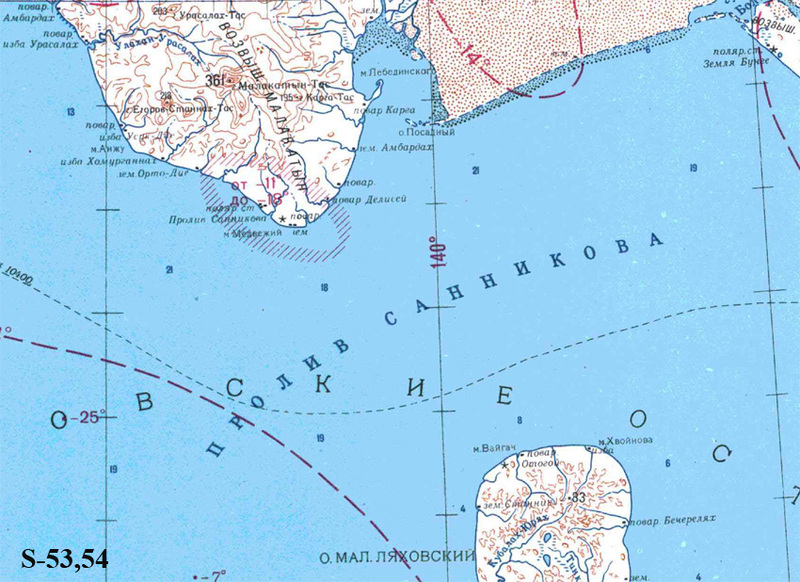 By mid-March, the Lyakhov Islands were described, and Anjou with a part of the detachment left for Fr. Faddeevsky. From the northern point of the island of Anjou again moved across the ice to the northeast, then, reaching the edge of the ice, turned to the west, discovered a small island (Fr. Figurin), drove to about. The boiler room, but nowhere saw new lands. Then came back on oh. Faddeevsky, crossed the Strait of Blagoveshchensk and on about. New Siberia explored the hills of the Wooden Mountains, at the base of which lay layers of semi-stone resinous fossil trees. Without losing hope of discovering new lands, Anjou from the extreme eastern cape of Fr. New Siberia (Cape Kamenny) undertook a long trip to the sea. Having reached the ice edge and not seeing the land, due to the difficult condition of the detachment, he decided to return to the mainland. With enormous difficulties, the detachment reached the coast in the area of ​​the Krestova River and from there, in several transitions to the southeast, reached the village of Pokhodsk on the Kolyma. Here, Anjou unexpectedly met with Wrangel’s detachment, returning from a survey of its section of the coast. Together they went to Nizhnekolymsk. By the decision of the Admiralty Board, the search for new lands in the north was stopped. Anjou was ordered to make an inventory about. Belkovsky and how much it will be possible to drive from it on the ice to the west or north-west. 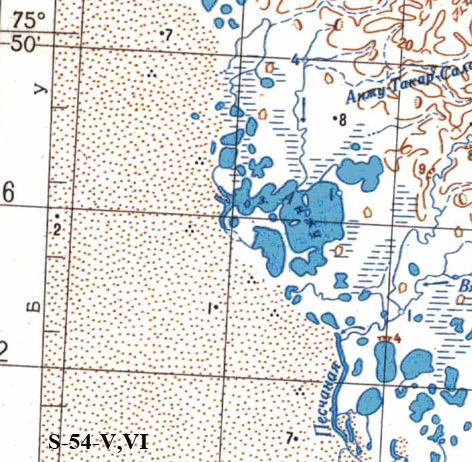 Anju completed this task in the spring of 1823, describing the small islands of Vasilyevsky and Semenovsky, which, as it turned out, were mainly composed of continental ice. In the first half of the 20th century, they disappeared, in their place are now underwater banks. The final processing of materials was carried out by Anjou in Yakutsk. The main result of the work was the creation of the best at that time map of the Novosibirsk Islands and the coast of Siberia between the mouths of Olenek and Indigirka. The highest estimate of the accuracy of astronomical and geodetic measurements was given by the largest Russian astronomer academician F.I. Schubert For the first time, the state of the ice in the Laptev Sea was studied, and throughout the expedition careful climatological, hydrographic, meteorological and ethnographic observations were carried out. Studies of Anjou laid the first weighty doubts about the existence of Sannikov Earth. 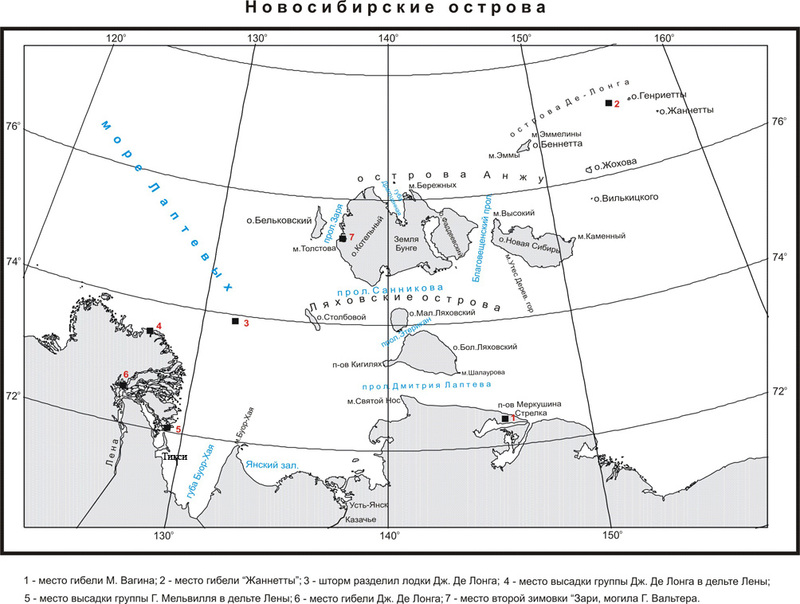 Anjou traveled farther than Sannikov to the north, possessed better telescopes than Sannikov, and yet, even in clear weather, he did not see the land north of the Novosibirsk Islands. Given this, the Admiralty Department decided that Sannikov "saw the fog resembling the earth". The expedition of Anjou began simultaneously with the expedition of Wrangel to the northern shores of Siberia and Chukotka, had equal tasks with it and ended with the same success. However, the journey of Anjou remained in the shadows due to an accident. The description of this expedition, along with almost all the materials, died during a fire in the house of Anjou. It was only at the cost of great efforts that historians were able to gather information about the study of Anjou in the Arctic on the reports and letters available in the archives of the Naval Ministry. 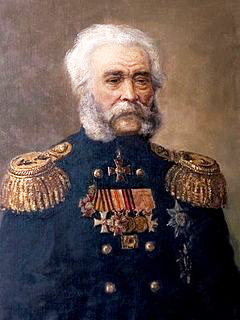 After finishing work in the Arctic, Anjou participated in an expedition along the shores of the Caspian and Aral seas, commanded the ships of the Baltic Fleet, participated in the Battle of Navarino, was a commander of the Kronstadt port. 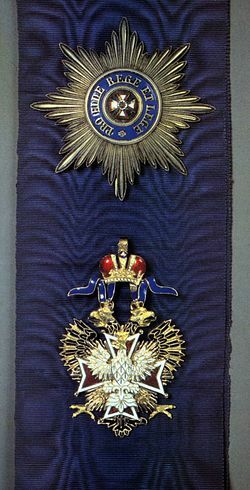 In 1866 he received the rank of full admiral. 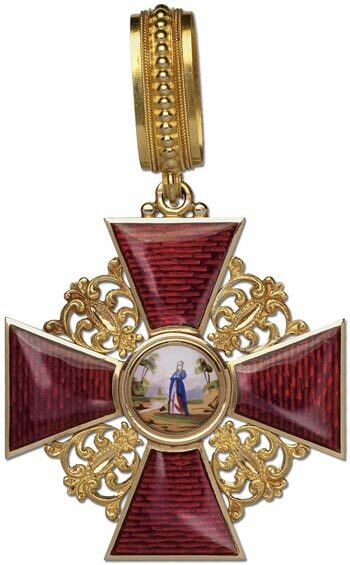 The merits of Anjou are awarded orders of St. Stanislaus 1 degree (1847), St. Anna of 1 degree (1856), St. Vladimir of the 2nd degree (1863), White Eagle (1865). He was buried in St. Petersburg at Smolensk Lutheran Cemetery: a granite cross on a pedestal, a fence of anchors, gun trunks, chains. The archipelago, which includes the Kotel'niy Islands, Bunge Land, Faddeevsky, New Siberia, Belkovsky. The name is given by Soviet researchers. 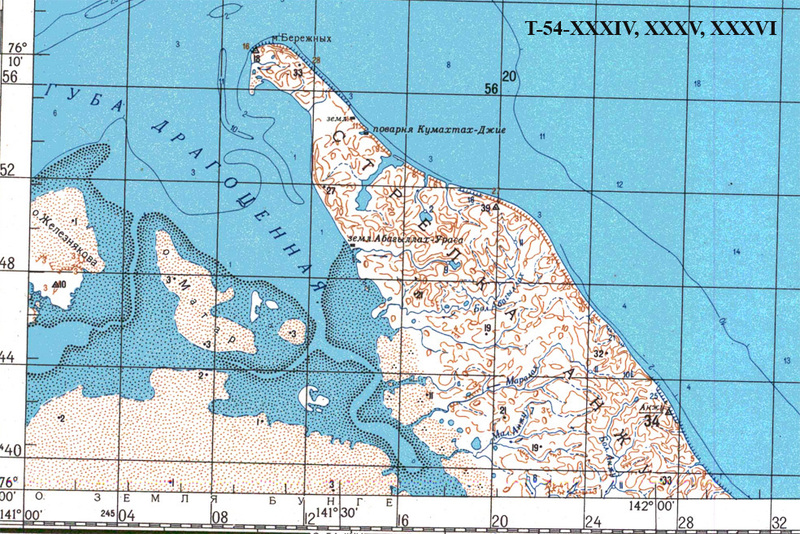 Arrow (peninsula) in the north Faddeevsky island. Called E.V. Toll in 1896. Cape on the southwest coast Kotel'niy island. Opened and named in 1821 by the expedition of P.F. Anjou. Lake on the border of Land Bunge and Faddeevsky island.